Its feathers are positively cerulean. Its morning chirrup and late-day warble are music to the wanderer’s ears. As Nevada’s official state bird, it holds an honored rank befitting its beauty and song. Yeah, I like it as well as the next guy, but it’s time to give the mountain bluebird its walking papers. 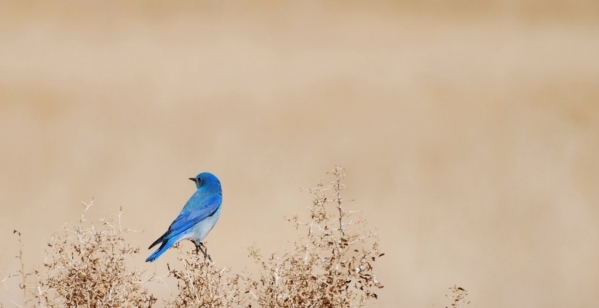 First, and strictly as an aside, the mountain bluebird has been cheating on Nevadans for many years. As it turns out, and this may shock sensitive readers, it has been moonlighting as Idaho’s official state bird as well. That’s right. This azure avis is a double dipper. But it’s more than its obvious abuse of public employee retirement systems in two states that makes the mountain bluebird deserve a pink slip. Fact is, it no longer represents the heart and soul of the Silver State. That beleaguered banner belongs to the greater sage grouse. It’s time to make it Nevada’s official state bird. The sage grouse is about the size of a small chicken and as dumb as a Tom turkey and some members of Congress. As the name implies, its habitat is the West’s increasingly stressed out and carved upon sea of sagebrush, which in recent years has begun to resemble an oil-and-gas drillers convention. While the male grouse struts around like a gigolo at Mardi Gras, the female is what your mother would call “plain.” Good personality, not much of a dresser, get the picture? The Obama administration’s recent decision to declare the attempt to grant the sage grouse federal protection a draw and a do-over convinces me it’s the perfect choice as Nevada’s state bird. The decision was at once praised and ridiculed, ballyhooed as a breakthrough of cooperation and condemned by some environmentalists as a sign of the beginning of the end of the beloved birds. In published reports, Interior Department Secretary Sally Jewell said the sage grouse doesn’t qualify as an endangered species because of the successful collaboration of government agencies ranchers, oil-and-gas industry representatives and environmentalists in restoring the bird’s breeding grounds. Some scientists, certainly not those on the payrolls of the mining industry, estimate the bird’s population has dropped as much as 90 percent due to the destruction of its habitat. But since federal officials have also determined that there’s enough room left for the sage grouse to get romantic and make with its patented funky chicken dance, the bird will survive amid the march of progress and the crush of the brush. 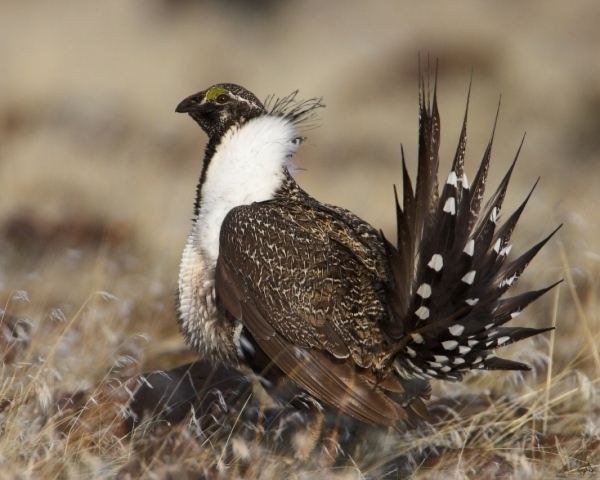 Environmental watchdog groups such as the Western Watersheds Project have linked the survival of the sage grouse to the health of the West’s great sea of sagebrush and have leveled criticism across the board. But it’s the lack of a determined effort from federal agencies such groups find particularly disturbing. The same Bureau of Land Management that Bunkerville rancher Cliven Bundy loathes is on the environmentalists’ bad-guy list, too. The sage grouse has been passed, punted and kicked like a political football on a playing field as big as all outdoors. It symbolizes the politics of the rural West, where so much land is mismanaged by the federal government and historically exploited by special-interest groups with juice connections and a stifling sense of entitlement. Whether its ranching, mining, or oil and gas exploration, there’s no shortage of those who have used land law cut in their favor decades ago to control the natural resources on swaths of real estate larger than some Eastern states. The least we can do is make it Nevada’s official state bird. If the sage grouse has a warble, these days it surely sings the blues. — Nevada native John L. Smith also writes a column for the Las Vegas Review-Journal that appears Sunday, Tuesday, Wednesday, Thursday and Friday. He can be reached at jsmith@reviewjournal.com or 702-383-0295.